The low carb diet is one of those things that ebbs and flows in popularity. I found it particularly helpful after the birth of my son. Despite working out 7 times a week, I managed to pile on more than 50 pounds. I blame some of it on hypothyroidism, but most of it was just because I became a carb junkie. I wanted juice and bread and pasta. Those are things I almost never eat. I don’t really even like pasta . So after the birth of my son, I decided to drop the carbs and the calories. I waited to lose most of the weight and really diet until I stopped nursing when he was 15 months old. The weight came off within 4 months. I am still trying to stay low carb except on vacation (so if you see me at Disney with a Dole Whip or lobster roll, please don’t judge). Now, I would always suggest that anyone wanting to lose more than a few pounds talk to their doctor first. You need to know what is healthy and best for YOU. Just because one diet works for one person does not mean it will work or even be healthy for another. Please talk to a medical professional. I am not one and don’t even play one on TV. 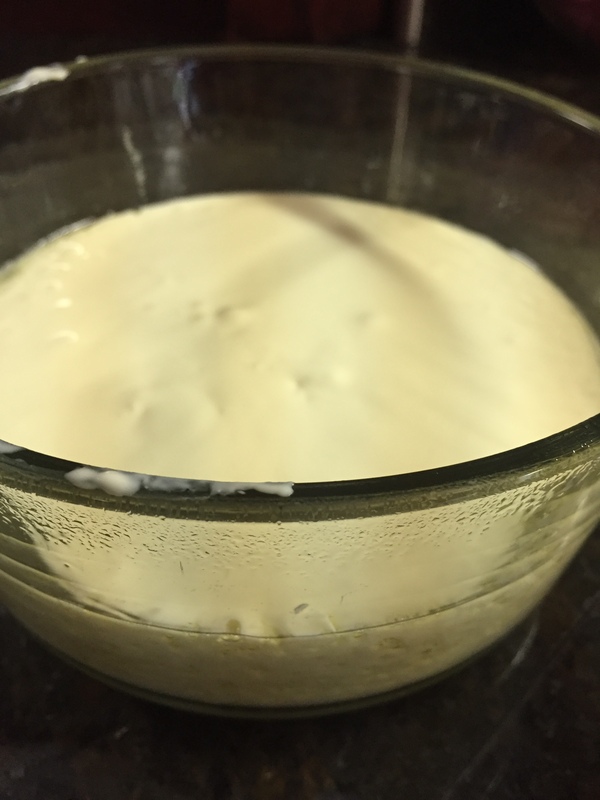 This post is really not about a diet as much as it is about a couple of desserts I depend on, especially during holidays or celebrations, when foods that I don’t need to be eating are the highlight. 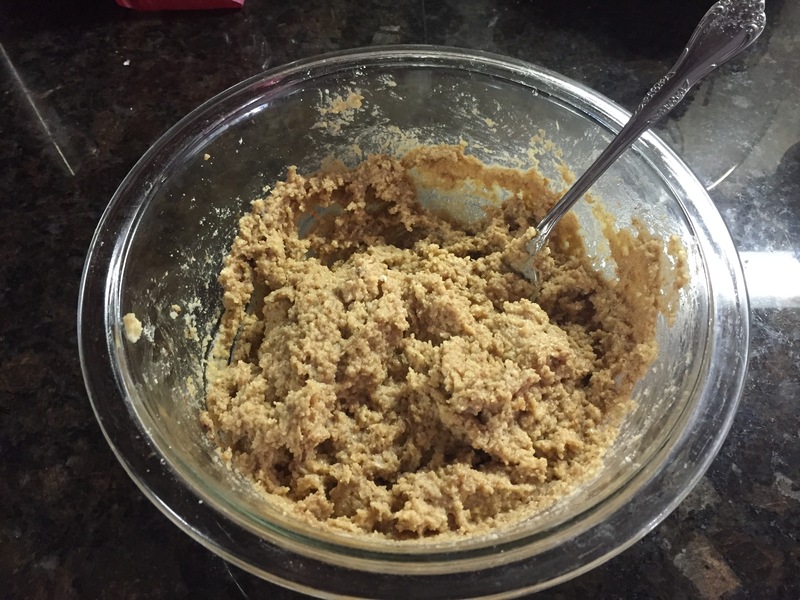 The first is what I have named the FAUX-T-MEAL COOKIE. My favorite cookie is an Oatmeal cookie, but I barely miss it when these are around. Mix it. 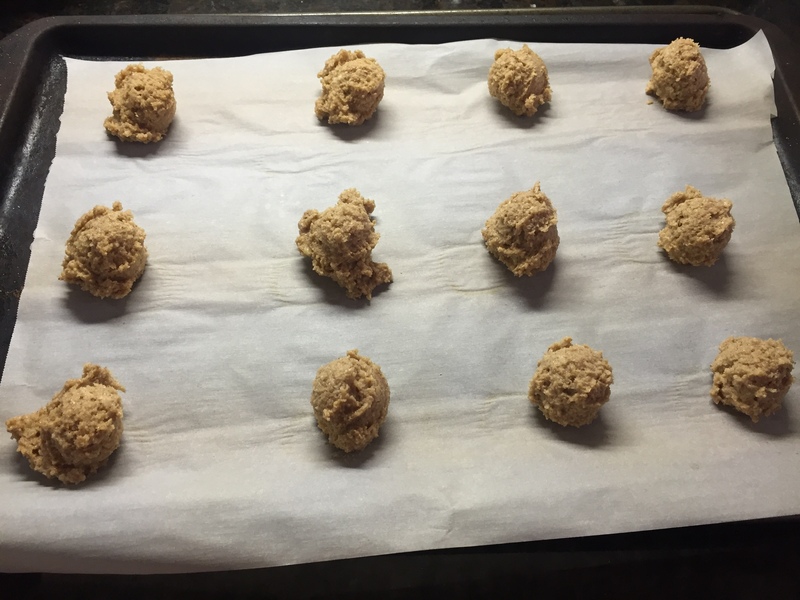 Drop 1 to 2 inch balls on a cookie sheet lined with parchment paper. Bake at 350 degrees until the edges start turning brown. I like mine crispier than my husband does, so I leave one batch in longer than the other. I use Splenda because I have tried every other sugar substitute known to man and Splenda gives me reliable tasty results without the massive stomach and intestinal sadness that others seem to cause me. Please feel free to use whatever sweetener makes you happy. 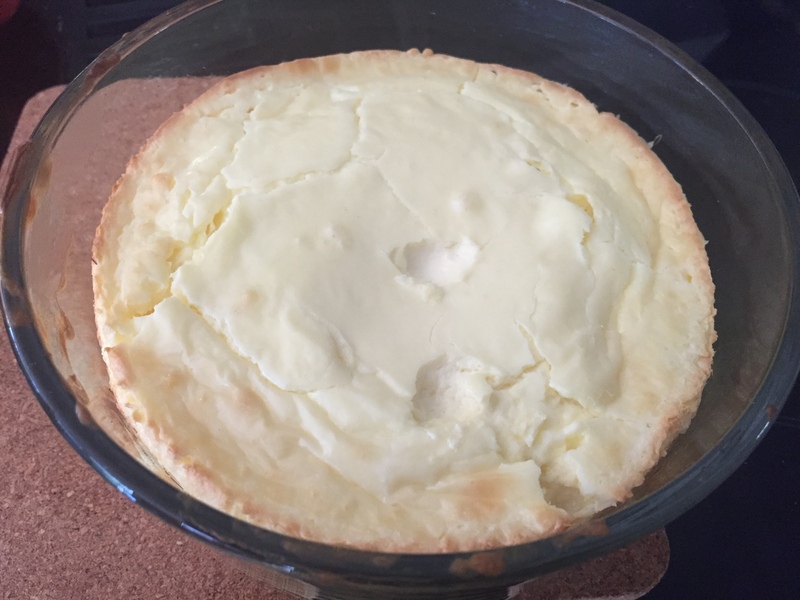 The other recipe that my husband and I love is a coconut cream cheesecake. 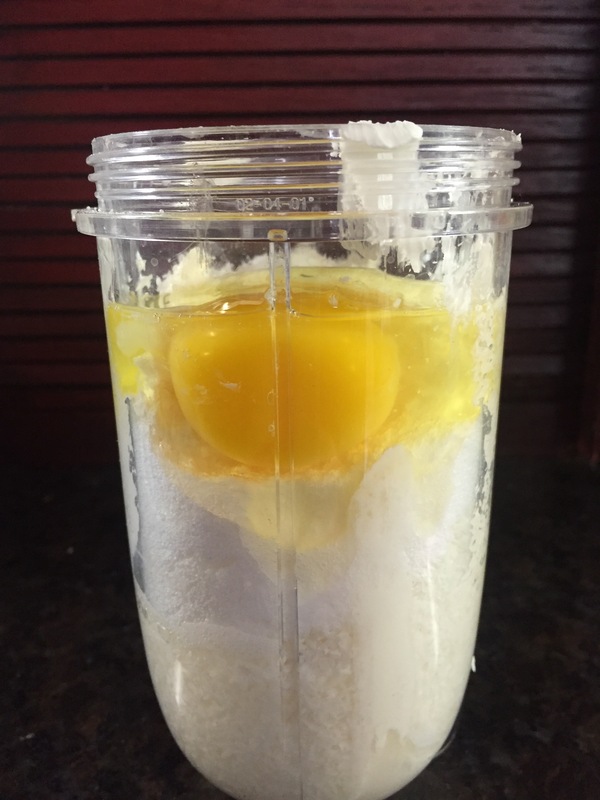 I mix it all together in my blender. Pour it in a greased dish. Bake at 350 degrees until it begins to brown and is set. I let it cool and then place in the refrigerator until it is nice and cold. You can serve it with whipped cream. 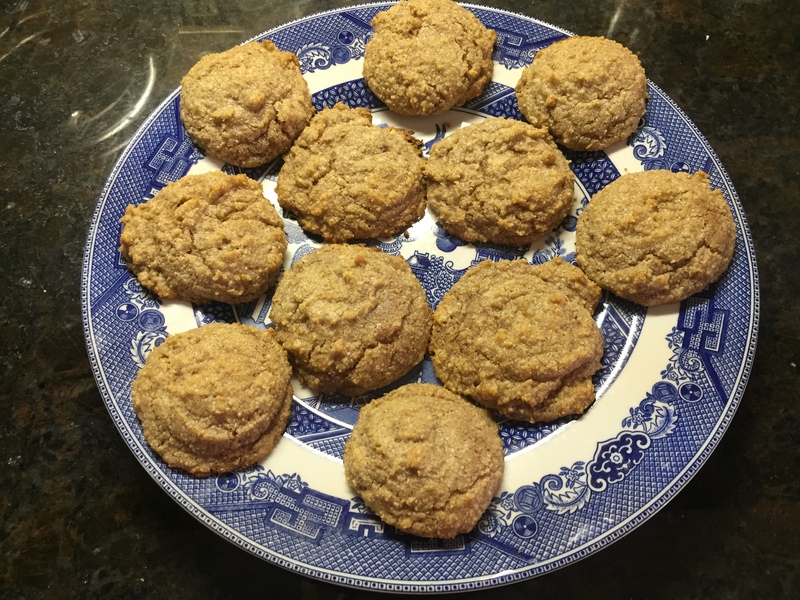 I hope you enjoy these recipes and please let me know if you try them.